AC/DC BRIAN JOHNSON & ANGUS YOUNG. SIGNED REPRODUCTION PRINT. PHOTO SIZE 11.2"x 8.3". A great way to get a perfect copy of your favourite sportsman,artist ect. This is superb quality. or just pin up on wall. Shadowbox you can display on the wall or another place. NO SIGNED PHOTO DISPLAY MINIATURE GUITARS AND DRUM. box shape with glass. HERE WE HAVE A READY TO HANG COLLECTION. Photo was taken under flashlight. 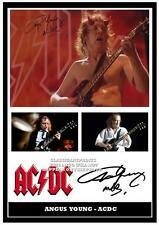 AC/DC ANGUS YOUNG. SIGNED REPRODUCTION PRINT. Xmas present. or a present for yourself. A great way to get a perfect copy of your favourite sportsman,artist ect. PHOTO SIZE 11.2"x 8.3". or just pin up on wall. AC/DC BRIAN JOHNSON. SIGNED REPRODUCTION PRINT. Xmas present. or a present for yourself. A great way to get a perfect copy of your favourite sportsman,artist ect. PHOTO SIZE 11.2"x 8.3". or just pin up on wall. 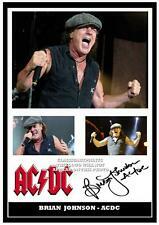 AC/DC Brian Johnson. Xmas present. SIGNED REPRODUCTION PRINT. or a present for yourself. A great way to get a perfect copy of your favourite sportsman,artist ect. IF NOT SATISFIED WITH THIS PRODUCT. This is superb quality. AC/DC Angus Young. Xmas present. SIGNED REPRODUCTION PRINT. or a present for yourself. A great way to get a perfect copy of your favourite sportsman,artist ect. IF NOT SATISFIED WITH THIS PRODUCT. This is superb quality. 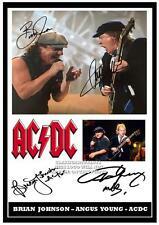 AC/DC Angus Young & Brian Johnson. Xmas present. SIGNED REPRODUCTION PRINT. or a present for yourself. A great way to get a perfect copy of your favourite sportsman,artist ect. IF NOT SATISFIED WITH THIS PRODUCT. AC/DC ANGUS YOUNG. SIGNED REPRODUCTION PRINT. PHOTO SIZE 11.2"x 8.3". A great way to get a perfect copy of your favourite sportsman,artist ect. This is superb quality. or just pin up on wall. AC/DC BRIAN JOHNSON & ANGUS YOUNG. SIGNED REPRODUCTION PRINT. Xmas present. or a present for yourself. A great way to get a perfect copy of your favourite sportsman,artist ect. PHOTO SIZE 11.2"x 8.3". AC/DC BRIAN JOHNSON. SIGNED REPRODUCTION PRINT. PHOTO SIZE 11.2"x 8.3". A great way to get a perfect copy of your favourite sportsman,artist ect. This is superb quality. or just pin up on wall.